As most of our readers already know: Spatineo is the European quality assurance expert for spatial web services. 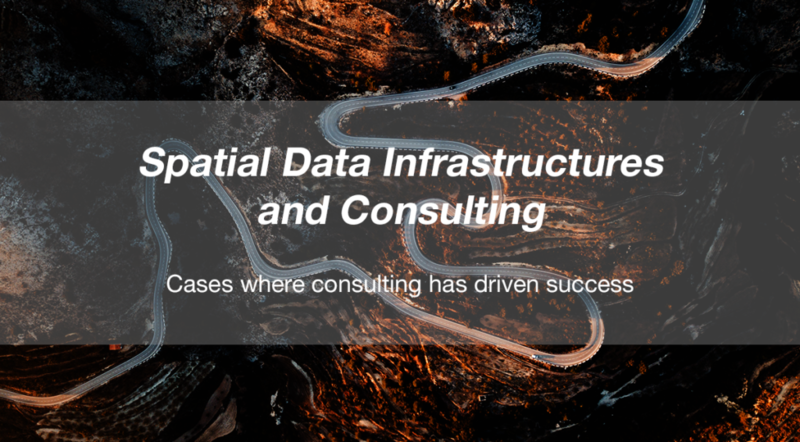 We provide tools and solutions to organisations to enhance their spatial data infrastructures and services. Apart from our set of tools, we also give counseling, in the form of assisting our customers to make full use of our products and consulting. Spatineo’s consulting varies from assessing the impact of your services and how to enhance it, to geospatial maturity of your organisation. In this blogpost we dissect couple of cases open, for you to have better understanding what kind of consultancy you could benefit from. Finland is in the middle of the government programme to unify the key spatial information from national, regional and municipal levels under one platform. National Geospatial Platform is the solutions that is in the making of. It will have a major impact on how spatial information and spatial web services will be available to even larger audience in the future. Spatineo’s expertise was chosen to assess the potential economic value of spatially enabled services in Finland. This is the first time when a comprehensive understanding of the value is calculated. The impact of the National Geospatial Platform on the economic value is assessed as well. Impactfulness is something we have been focusing on lately. We have written about how key performance indicators reveal the impact of your services and Jaana Mäkelä made an exercise on how to calculate the impact of your services. The project will be ready at the end of August. Spatineo is helping the Finnish Meteorological Institute (FMI) in a software project for modernising forecasting tools and weather data delivery for aviation purposes. The project is related to a huge undertaking for improving the performance and safety of the European air traffic management systems (SESAR). Common data models, reliable conversion tools and standardized data formats are essential for enabling data flows from aviation forecasters’ workstations to air traffic controllers and pilots responsible for millions of safety-critical day-to-day decisions in air traffic. The project started in 2017 and it’s partly based on code created in previous FMI consulting projects dating back to 2014. The main role of Spatineo in this project has been in designing and developing software components for reliably handling and converting weather observation and forecast messages between different data models and formats. The code is published under the MIT Open Source license and is available for both commercial and non-commercial use. So our consulting projects range from how organisations handle their spatial data, to what is the impactfulness of that data and how it can be enhanced. Spatineo’s team of experts would be able to adjust to needs of most spatial data related issues, so don’t be afraid to ask for quota or offer for consulting. Every situation is worth evaluation and discussion. Are you in the need of consulting - Contact us now for more information!